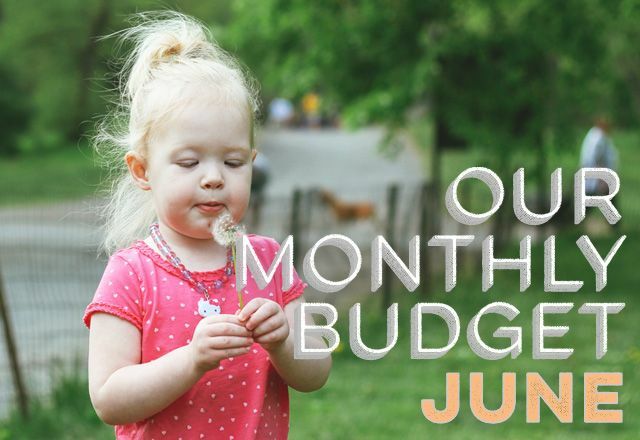 June is our favorite AND most expensive month of the year, second only to December. Johnny and I both have birthdays, we have Father’s Day, and we have our wedding anniversary! We’re also six weeks into this whole two kids thing, and I feel like we’re starting to get our groove as a family of four. It’s a whole new dynamic, with Johnny and me having to stretch ourselves a bit more than we did with just one. The past month and a half has demanded a lot from us, so we’re excited to have cause to celebrate some this month! We didn’t leave the house much until the last couple of weeks of May, and our meals stayed very simple all month long. And, for the most part, we didn’t have time to buy much of anything. Our budget was looking great, but the last week of May sent us $100 over on our Grocery category. Why? Well, when I finally got around to meal planning and ordering groceries, I realized we were running low on almost everything! That’s what having a newborn will do for ya. Everything in our home has become disorganized lately, and I’m hoping (for the sake of my sanity) June jumpstarts getting things organized again (including our posting on here!). We ended Sally’s preschool, so that’s one less expense this month! I don’t feel like we need it as much now that the weather’s nice and there are plenty of ways to keep Sally busy in the city. Our claim with Aflac has been started, and we’ll let you know when we finally get paid for having a baby. Hopefully this month! It’s the first day of the best month of the year! Because Johnny and I have so many expenses this month (we’re also traveling to see family! ), we’ll have to track every little expense as soon as they happen if we want to stay on budget. Challenge accepted. What about you? 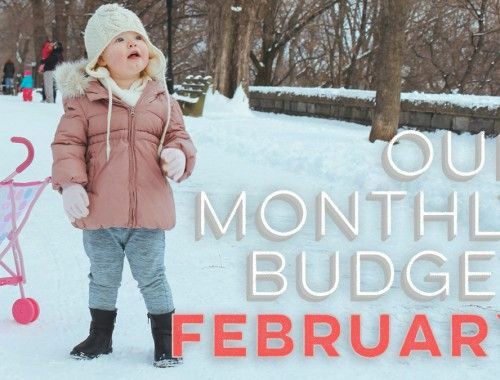 You ready to rock your budget this month? All things considered, you’re doing great! Don’t be too hard on yourself, going from one child to two is a huge transition and all these things take time. Throw hormones into the mix and well, it will make for interesting days!!! :-)As for my budget this month? Totally blown! Heading on holiday on Saturday and whilst I budgeted for some new clothes, its things like pain meds, sun lotions etc. all the little things that you pack just in case. I carry my own little mobile Hospital with me when I’m away! It’s ridiculous but I can’t not do it, how else will I cure something that might happen like septicemia!!!! I know, I’m nuts. Oh man! 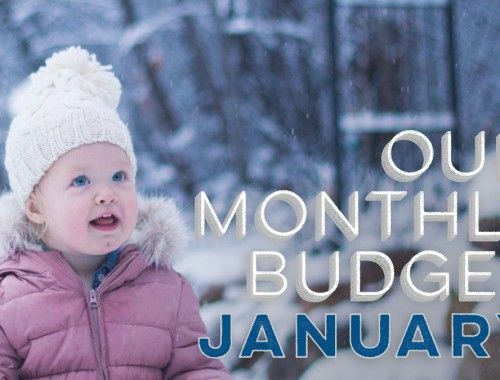 We might blow our budget this month, too!! I hope not, but it’s a crazy one! And thanks for the encouragement… it has been a huge transition. Just when I think we’re getting the hang of it, our kids put us in our place! Have fun on your trip! Maybe I missed it, but you guys don’t pay for medical insurance? I know that’s a big budget item for most people so I was just curious. Good question! Our insurance premium is covered by Johnny’s work, which has been a big help. 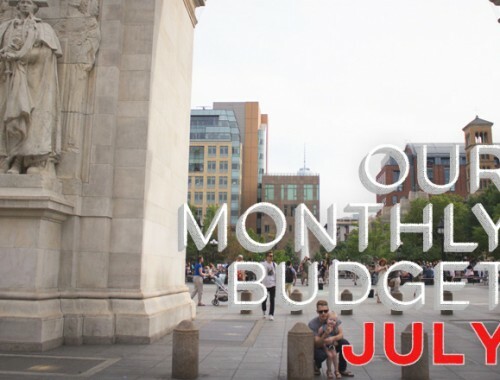 June is a big month for us too! 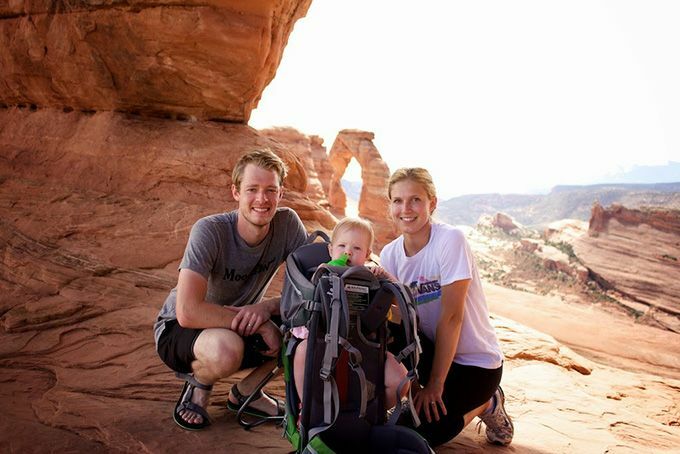 Father’s Day, of course, is coming up – and while my hubs and I always vow not to do “much,” we always find a way to justify something special! Our anniversary is also later in the month and I have a hankerin’ (yes, a hankerin’) for this particular restaurant that isn’t exactly on the budget-friendly side! We usually do dinner & a movie on our anniversary because, well, we’re lame. And on a budget. But we love going to the movies so it’s a treat! Ha, yes! We’re the same way. And that’s not lame!! Seriously, that sounds like the perfect night… Johnny and I usually just do dinner and buy a combined gift. We’re all about keeping it simple in our current stage of life! What a big month! My parents were the same, both birthdays, their anniversary, and fathers day tended to fall within a 10 day span mid June. They always seemed to love this month though! May was high for me because I managed to go to a concert I’d assumed was going to be priced higher than it was, but totally worth it! I mostly made up for it during the rest of the month, but June will have to be a little more frugal than usual too. Yes, very big month! And sometimes it’s worth it to splurge on experiences, like concerts!! I’m looking forward to when Johnny and I can start doing concerts again once Wynn is a little older! Congrats on the new baby! Going from 1 to 2 kids was the hardest thing for me also. Now I have 4 and I laugh at myself a little… but only a little. It will get better! June is expensive for us too. My husbands bday, fathers day and our wedding anniversary all in the same week. Ack! We are on one income right now as hubby works his way through school and things are soooo tight. I need very much to get back on a budget and quit burying my head in the sand. *panic attack*. Hi Johnny and Joanna, I am glad I found this site – I had to chuckle at the Dave Ramsay reference (What Would Dave Do? Indeed) as I recently leased a car on a 0% deal due to needing it for transportation and having approximately $0 in my account. The wife and I have recently moved to the US from England, and it has been very hard budgeting over here, especially with a 6 year old. Slowly getting the hang of it though!